Discussion in 'Macro, Flowers, Insects, and Greenery' started by threecats, Aug 1, 2008. Very nice. 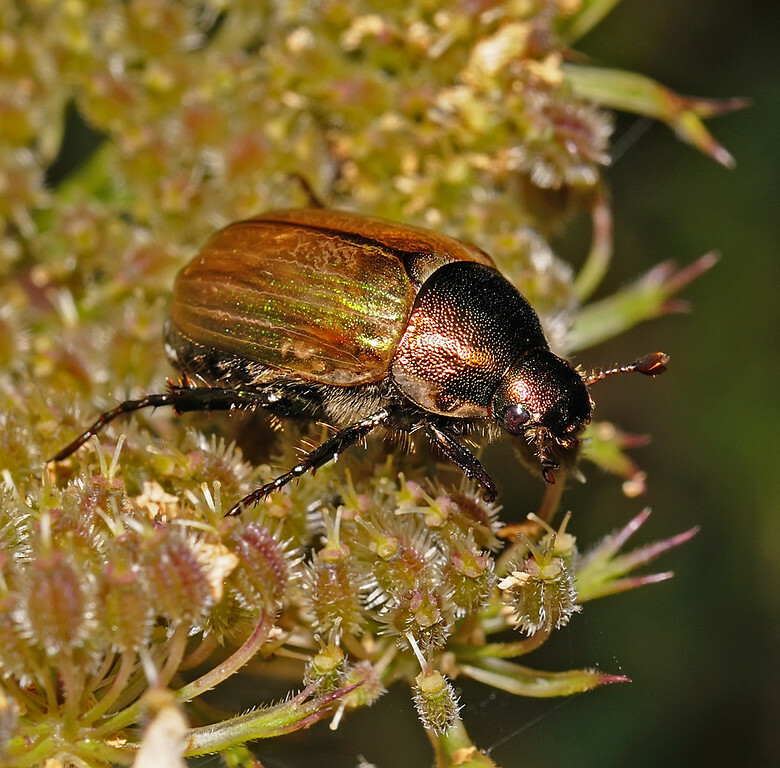 Looks similar to a Rose Chafer we see in the UK. This was the first 'macro' I shot with a digital camera - I always thought that it was a cockchafer until I saw this thread. Shot with a 17-55 then heavily cropped, I still like it (even if it encouraged me to spend money on my 105 and R1 flash). Your guess was good - that is a Japanese beetle.